We are a leader in our industry and in order to maintain this lead, we need extraordinarily motivated, capable, and driven people like you. Come join us and find out why so many of our employees recommend us as an excellent place to work. Since 2016, we have been a part of the S&P 500 and lead the self-storage industry in more ways than one. 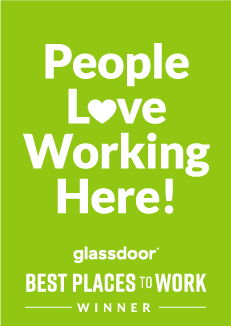 In 2018, we were a recipient of one of the Best Places to Work according to Glassdoor. We are currently hiring for a Full Time Search Engine Optimization (SEO) Specialist at our corporate offices located in Salt Lake City, Utah who will focus on the technical aspects of SEO. This position will be responsible for analyzing website structure, optimizing a search engine’s view of our websites, optimizing schema, managing Google and Adobe Analytics platforms with existing data management personnel, monitor off-website elements that impact our performance in SERPs. This is an excellent opportunity for someone who has web development, website analytics, and other technical SEO experience. Manage SEO dashboards, views, filters, etc. in both Google and Adobe analytics. In lieu of a Bachelor’s or Associates degree, someone with 5+ years in technical SEO and/or web development may be considered upon passing a general SEO competency exam. Ability and willingness to present results confidently to groups of 12-20 people on a regular basis.